Tracing the Steps of the Ghost Dance’ is a storytelling project about the importance of the ancient relationship between people, plants and their environment. Using the Ghost Dance ritual as our case study; we follow the spores of the Desheto mushroom to the impenetrable and majestic Cloud Forests of the Sierra Mazateca. This project is being led by our Americas project director Michael Stuart Ani, who has been a student of plant wisdom for fifty years with a deep connection to the Lakota, Yamomami and Mazateca. To (re)read the third part of this journey, go here. After the conquest of Mesoamerica, the secret of the sacred mushrooms remained a secret for almost 3 centuries, until a Spaniard named Julian Diaz-Ordaz decided to build a coffee plantation in the Sierra Mazateca in 1882. Ordaz was an expert mycologist from the mushroom capitol of Europe: Catalunya. Guess where he decided to build his plantation? That’s right, in the exact region where the sacred mushrooms grew and where its rituals and ceremonies were still practiced in secret by the local Indians. During the Mexican Revolution of 1912, General Emiliano Zapata drove Ordaz out of Southern Mexico with the rest of the European hacienda owners. Julian Ordaz returned to Europe with the first stories about the sacred mushrooms. Unfortunately for Ordaz, no one believed what they thought of as ‘tall tales’. At the time, peyote and mescaline rituals had reached Berlin and the scientific scholars erroneously wrote the sacred mushroom off as being mistaken for peyote. Cameron Townsend, the founder of the Summer Linguistics Institute and Wycliffe fundamentalist Christian cult, heard about Ordaz’s find from an associate in Mexico’s pre-World War II German community. At the time German occultists were scouring the earth from Tibet to Mexico looking to the past for answers to address an uncertain technological future. Townsend had already embarked on a similar journey and as part of his research he sent an undercover missionary disguised as a linguist expert to Huautla in 1936. Eunice Pike was the first outsider to publish writing on the ‘poison mushroom’ rituals of the Sierra Mazateca. Both Eunice Pike and Cameron Townsend believed that the Indians’ mythological Plumed Serpent was actually the Beast of Revelations and the mushroom was its seed, which could be used to conjure it into existence. They withheld their information to fulfill their own prophecy of 2,000 Tribes at the 1964 New York World Fair. Back down in ole’ Mexico, an anthropologist named Reko and the head of the ethno-biology department at Harvard, Richard Evans Shultes, who was also a pre-CIA operative, had learned about the sacred mushrooms through Eunice Pike. The agency became interested in studying its possible military uses. No one had actually taken part in a Mazateca ritual involving Desheto (velada) until the French botanist, Heim, who began documenting species. In 1954, his associate R. Gordon Wasson, the man who opened the sacred mushroom’s Pandora’s box, arrived in Huautla. When Wasson arrived, he met the priest of Huautla’s Catholic church, who was not only aware of the sacred mushroom, but had actually had a religious experience with them. After Eunice Pike refused to help Wasson, the priest introduced him to Maria Sabina. 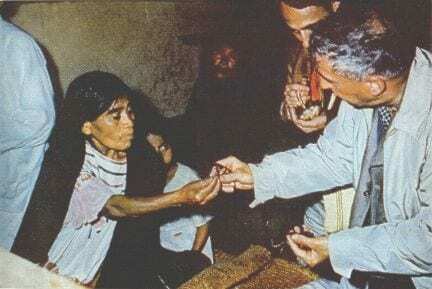 Wasson, a mushroom expert, was astonished by his first velada ceremony with Maria Sabina, who was also a devote member of the Catholic church in Huautla. Wasson believed the mushrooms allowed him to communicate with his recently deceased mother. This understanding was quite out of the box for a conservative New York banker. Wasson was also the first to discover and publish evidence from the codices of the sacred mushrooms’ importance to Mesoamerican culture. He also promoted a theory that the sacred mushroom could be the actual Fruit of Knowledge, which are described in the earliest versions of the Bible. Even though Wasson was a conservative military supporter, he was still appalled by the concept of the American secret services using something so sacred for violent reasons and decided that the only way to stop this was to finally reveal the sacred mushrooms secret. In 1957 Wasson published an article and photographs in Life Magazine about a Mazatec Indian woman who could literally communicate with the dead using sacred mushrooms. It was a uniquely odd article for a major publication in post, World War II 1950’s America. This was an era when all religious beliefs except for Christianity were being written off as ignorant superstition. It was actually Disney who took the occult practices of the world and white washed them into cartoon fairytales and dancing mushrooms. With the exception of Wasson’s article, the entire religious belief system of the world was now being transformed into a standardized template that fit the new American model of the modern technological age. In the 1960’s, Dr. Timothy Leary, a visiting professor at Harvard, was part of a group of scientists who believed that better living through chemistry would solve all the world’s problems. Leary read Wasson’s article in Life Magazine and was more enthralled by the psychological possibilities than Wasson’s interest in the ‘primitive culture’, that worshipped the sacred mushroom. 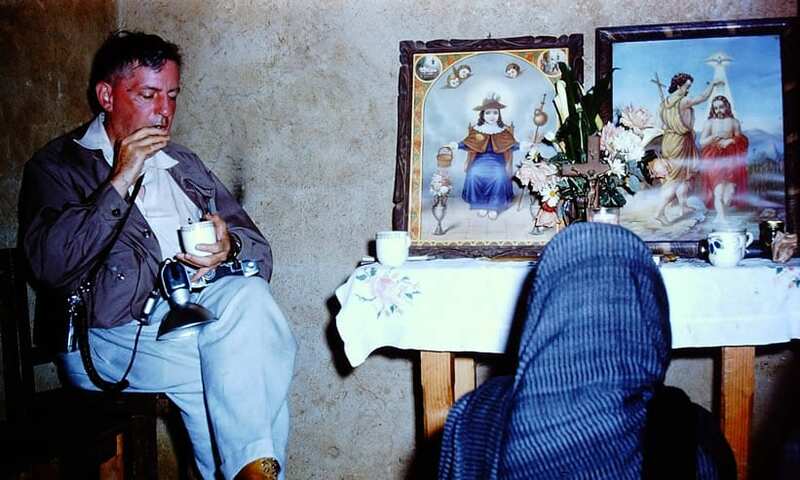 Leary immediately went to Southern Mexico to experiment with the sacred mushroom and it literally blew his mind. Soon after returning, he wrote the book ‘The Psychedelic Experience’. Back in the US, Leary found it more comfortable to use a synthesized chemical in a safe environment then he did, tromping through the dangerous backcountry of Mexico. This is when he began experimenting with psilocybin, and then Lysergic Acid Diethylamide (LSD). He administered what he felt was a miraculous drug to some of his students and ultimately that one mushroom experience changed the mindset of the entire world and contributed to the era known as the ‘Psychedelic Sixties’. The US government was angered by Wasson and Leary’s leak and were forced to coverup their own research into the possible military uses of the sacred mushroom. In 1967, the US government outlawed the use of psilocybin and LSD and this caused a counterculture use of these drugs that continues to this day. What does the future hold for Desheto? For this first part of this project, Michael Stuart Ani visited the Sierra Mazateca to trace the origins of the Ghost Dance and the mysterious Desheto mushroom. Next we intend to follow the ceremony northwards to the Lakota of the Sioux Nations in the United States of America. Want to find out what led to the Wounded Knee Massacre and the outlawing of the Ghost Dance? Then please make a donation and help us continue the project by sending Michael to meet his old friends, the medicine men of the Lakota people.